Posted on February 11, 2019 by Rachel A. What makes you feel relaxed after a long and hard working day? Some of us like to go outside with friends, and others would watch a movie. But most of you would say that the coziness of your own home makes you feel really relaxed. 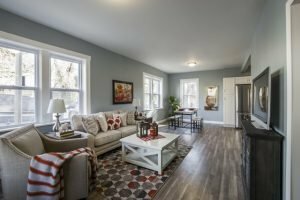 Your home – your rules, right? Unfortunately, some people don’t spend so much time in their homes. We live fast, running all the time and complaining that we don’t have the time for anything. 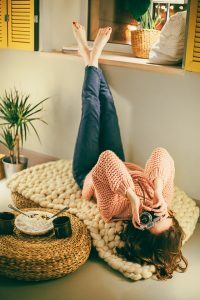 Well, you should find some time for yourself and think about the ways you can use to increase the comfort of your home. When you make your home more pleasant by increasing the comfort of it, you will have better rest and you’ll enjoy every moment spent in your house. Also, some improvements can even raise the value of your home. You will see that when you ask around the Florida real estate community. They will help you find out what is the most popular style in the market. The renovation will refresh your home, and the best part of this is that you don’t even have to invest a lot of money on it. A good idea goes a long way, so get down to business. How can you increase the comfort of your home? 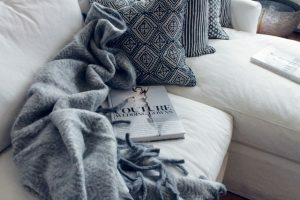 cozy couch and soft blanket. You don’t have to try every one of these suggestions, of course. Perhaps using even one, two or three will add some new life to your old home. Natural light is the best for our eyes, your whole body, and your brain. Use that light at least over the weekend if you work long hours during the week. Sometimes it’s not feasible to install big windows, and in that case just try to use natural light as much as possible, during the day. If you’re relocating to Florida, this is the perfect opportunity to enjoy all the sunlight that the Sunshine State has to offer. There are also glazing windows, which you can buy. These windows have special isolation and absorb noise from the outside, saving peace in your home. And you must agree that that is a good way to increase the comfort of your home. It doesn’t matter if you live in the city or not, near your neighbors or not. Big windows are always recommended. Somebody can say that neighbors are too close, but think about your health and take advantage of sunlight. Enjoy and relax, and after the sunset, you can always use curtains. Curtains can increase the comfort of your home as well. Choose colors that will match with your couch, carpet or pillows. Make sure that you have fresh air in your rooms. Spending all day in the office, where the ventilation is running 24/7 and usually where is not even possible to open the window is not healthy at all. That is one additional reason to air your house and increase the comfort of your home. It will make feel so much better. Remodel your terrace, if you have on. Also, try other ways to improve your home in Florida by yourself. And on your terrace or in the yard, you should make yourself comfortable and spend more time in the fresh air. You don’t need a lot of stuff or money. Use some old chair with a nice pillow and a small table. Buy some outdoor plant and candle. Watch the stars and relax. The color of the wall is a good trick and it’s easy to do it. Use colors that make you feel relaxed. Dark colors make space feel smaller, but on the other hand, they also make a better atmosphere. Red is the aggressive color for a wall, for example, even though it’s a warm color. You should use light colors, and maybe paint only one wall into some dark color. Or try wallpapers. Once you start to paint the walls, it could be the perfect moment to get rid of some old stuff. Throw away some items, host the garage sale or rent some storage for your things that you want to keep. Let’s say that you decided to keep some personal things, but away from your home. Find affordable storage South Florida and make some space to increase the comfort of your home. Without clutter, you will be able to enjoy your new freshly painted walls. Firstly, plants clean the air. They are also very decorative, especially in the combination with some rocks or interesting pot or vase. 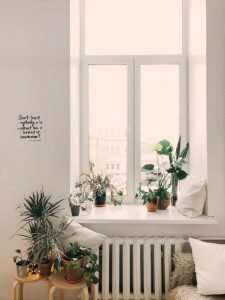 Are plants are too much work for you? If you don’t want the obligation to water them every week, you can buy a cactus. They will definitely increase the comfort of your home. There are plenty of different cactuses, big or small, which do not request so much attention. After a long and stressful day, when you come home, your fluffy little buddy will wait for you. He will be happy every day to see you. It’s not important if you are a dog or a cat person. Either way, it is nice and priceless when somebody welcomes you every day when you get home. Of course, you can choose some other pet, like a bird, fish or a pet reptile. 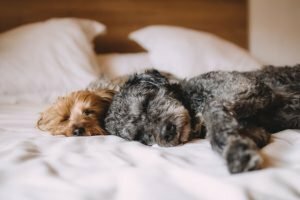 Pets will always give life to your home. Let them become a part of it and your life, and you will see how that will increase the comfort of your home. Especially kids will enjoy having pets. People say that watching an aquarium with fishes can calm them down and cuddling a cat makes them feel relaxed. You can at least try it, right? That will make pets happy, for sure. All your rooms should be well lit. During the day, you should definitely use natural light as much as possible. But in the evening, artificial light is necessary. Place good lamps in every room that you have and that will increase the comfort of your home. It will benefit your eyes and you will feel less tired. For romantic atmosphere use candles or even better fireplace if you have. Making your home more pleasant and by increasing the comfort of your home, you would have a better rest and enjoy every moment spent in your house. Some improvements that you can make can raise the value of your home, and you can search Florida real estate and find out what is the most popular on the market. The renovation will refresh your home, but try to avoid some projects, because you don’t need to spend too much money. What is the first picture that comes to your mind when you think of the word “comfort”? For most people, it’s probably an image of a cozy couch and a soft blanket. When you are buying the furniture for your place, think about the time that you will spend really enjoying that furniture. How much time do we spend on our couch? Not too much, since we already concluded that we generally do not spend enough time at home. So, make sure that you really enjoy that time when you are at home. Choose a soft couch made of pleasant material and cover it with some soft pillows, in your favorite color. Use a soft and fluffy blanket. Buy a shelf for your books or magazines and place it near the couch. Fill your house with photos of people that you love which will remind you of some happy moments. When you do those things, you will increase the comfort of your home without questions.